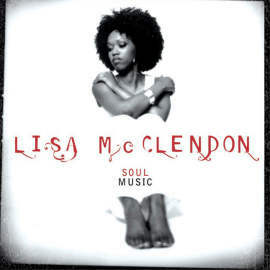 Over the last five years or so, it could be argued that the rise of the neo-soul movement within Gospel music has been pioneered by the soul music diva Lisa McClendon. 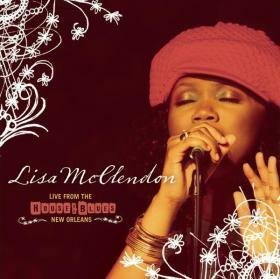 Proponents of that argument would naturally be buzzing about McClendon’s latest recording Live at the House of Blues -- New Orleans, which serves as her first live effort. 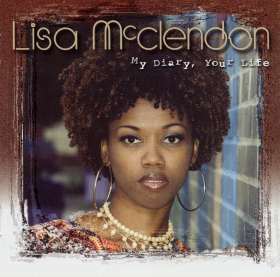 In celebration, McClendon has embarked on a two-month tour titled "The Live Experience ‘06", which features McClendon along with partners in soul, Leon Timbo and Adrianne Archie. 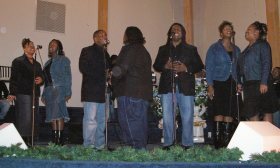 The highly anticipated tour rolled through Norfolk, VA on January 14, 2006 and GOSPELflava.com was in the house to check it all out. 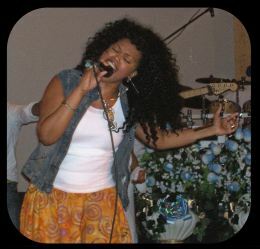 Sponsored locally by Ordained Productions, this stop on the tour kicked off with local artist Andrae Smith and Chosen Vessels, who masterfully put the believer’s touch on Jill Scott’s “You Loved Me”, fusing “Chosen”, a take on Scott’s hit “Golden”, into the mix. 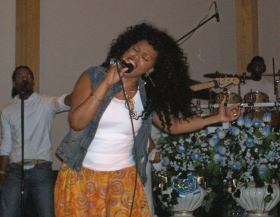 They rocked the house with their rendition, setting the stage for the locally popular Mona J to drop her heated vocals. 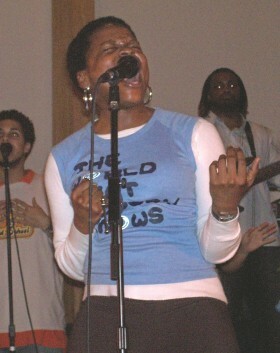 Tinged with R&P and hip-hop, the vocalist lit the audience a blaze with “Tonight” and “Don’t Be Like Me”. 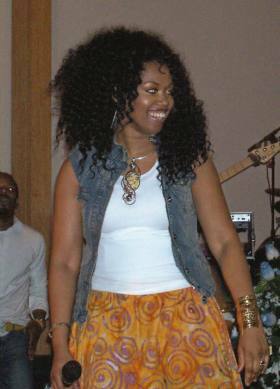 On the basis of her performance, don’t be surprised to see Mona J making a national impact in the near future. The audience then prepared for Adrianne Archie, but they clearly were not ready for what was about to happen. The Louisville, Kentucky native hit the stage and told the audience that they were about to rock out. Boy did she bring the thunder!! 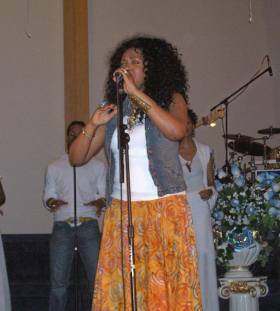 The energetic vocal wonder proved that nothing could hold her back as she brought an energy to the stage that rivaled that of Tye Tribbett. Her set launched with “What A Fellowship” and the crowd danced endlessly. She continued with “It Is Well”, where she took time to share her testimony about her healing from a degenerative spine disease. One could only rejoice with Archie while watching her jump and dance so effortlessly, seeing God’s healing power at work. 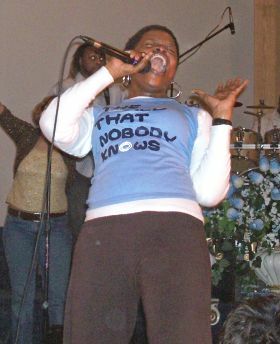 She left the crowd in awe with “I Push Myself” and “Way We Praise”, which featured Monique Spencer on electric violin. 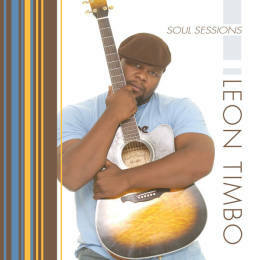 Up next was the proverbial “Gentle Giant” Leon Timbo. Timbo’s ministry and presentation was so authentic, heartfelt, and passionate that it commanded attention from all. 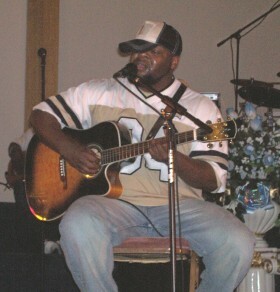 With simply an acoustic guitar at his side, Timbo dropped several original pieces that spoke to the heart, including a track he called “The Brother’s Anthem”, which ministered to every man in the building. All of this served to set up the entry of Lisa McClendon onto the stage to bless the mic. 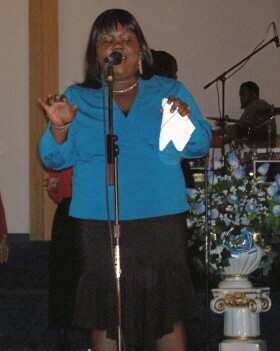 She led off with the “Soul Music Medley”, from her new album, featuring her hits “Hey Now” and “Stuck”. 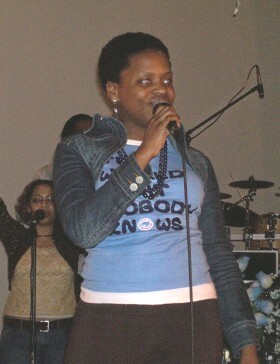 She then debuted several new tracks. “You Can” was an empowering number that reminded all that we can live an overcoming life through Jesus Christ. She also presented “Just Another Day” which was well received. 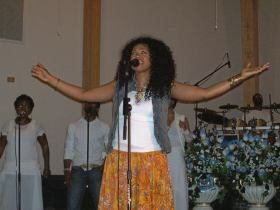 McClendon then richly blessed the audience with the worship-tinged “You Are Holy” before closing her set with the radio hit “Move On Over” which sent the crowd into the next dimension. The audience began to party and get their severe jam on for the next thirty minutes. 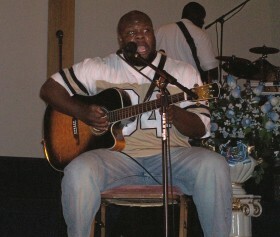 McClendon’s band freestyled while believers all over the house danced the night away. "The Live Experience ’06" was indeed that a live experience that will not soon be forgotten.